1 |             thus her allegations of waste and nuisance in the previous case. 4 |             vacated by defendant. 6 |             Housing and Employment. 8 |             credibility most favor plaintiff. 18 |             same to others who may visit him on the property. 20 |             habitability or discrimination. 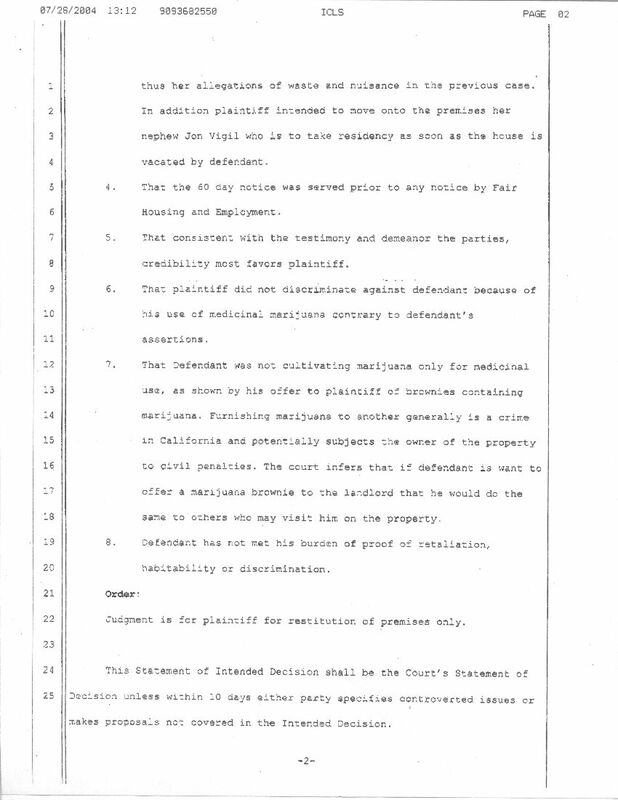 22 |      Judgment is for plaintiff for restitution of premises only. | makes proposals not covered in the Intended Decision.